Every photograph has its own best avenue or route. It takes time to pick the best one. I HAVE LONG SINCE ABANDONED THE TASK OF CALCULATING HOW MANY DIGITAL IMAGES ARE CREATED every second of every day. The numbers are so huge as to be meaningless by this time, as the post-film revolution has removed most of the barriers that once kept people from (a) taking acceptable images or (b) doing so quickly. The global glut of photographs can never again be held in check by the higher failure rate, longer turnaround time, or technical intimidation of film. Now we have to figure out if that’s always a good thing. Back in the 1800’s. Photography was 95% technical sweat and 5% artistry. Two-minute exposures, primitive lenses and chancey processing techniques made image-making a chore, a task only suited to the dedicated tinkerer. The creation of cheap, reliable cameras around the turn of the 20th century tilted the sweat/artistry ratio a lot closer to, say, 60/40, amping up the number of users by millions, but still making it pretty easy to muck up a shot and rack up a ton of cost. You know the rest. Making basic photographs is now basically instantaneous, making for shorter and shorter prep times before clicking the shutter. After all, the camera is good enough to compensate for most of our errors, and, more importantly, able to replicate professional results for people who are not professionals in any sense of the word. That translates to billions of pictures taken very, very quickly, with none of the stop-and-think deliberation that was baked into the film era. We took longer to make a picture back in the day because we were hemmed in by the mechanics of the process. But, in that forced slowing, we automatically paid more active attention to the planning of a greater proportion of our shots. Of course, even in the old days, we cranked out millions of lousy pictures, but, if we were intent on making great ones, the process required us to slow down and think. We didn’t take 300 pictures over a weekend, 150 of them completely dispensable, nor did we record thirty “takes” of Junior blowing out his birthday candles. Worse, the age’s compulsive urge to share, rather than to edit, has also contributed to the flood tide of photo-litter that is our present reality. If we are to regard photography as an art, then we have to judge it by more than just its convenience or speed. Both are great perks but both can actually erode the deliberation process needed to make something great. There are no short cuts to elegance or eloquence. Slow yourself up. Reject some ideas, and keep others to execute and refine. Learn to tell yourself “no”. There is an old joke about an airpline pilot getting on the intercom and telling the passengers that he’s “hopelessly lost, but making great time”. Let’s not make pictures like that. Even the smallest library on photography needs this book. A VIDEO BIOGRAPHY OF JOHN SZARKOWSKI, FORMER DIRECTOR OF PHOTOGRAPHY for the New York Museum Of Modern Art, makes the salient point that most great photographers begin by being great fans of photography, almost to the point of studying the work of others as much as they work to perfect their own craft. This makes perfect sense. Before you can teach others to see, you have to learn to see yourself. And that begins with watching how other people see. Learning from the masters doesn’t necessarily mean stealing from them, or even being stylistically influenced by them. What you see most importantly in other photographers is how closely their selves are married to how they personally take the measure of the world in visual terms. You learn how few real accidents there are, how few miraculous pictures merely pop out of the camera fully formed. You see the deliberate agency of art, the conscious decision to choose this in order to achieve that. 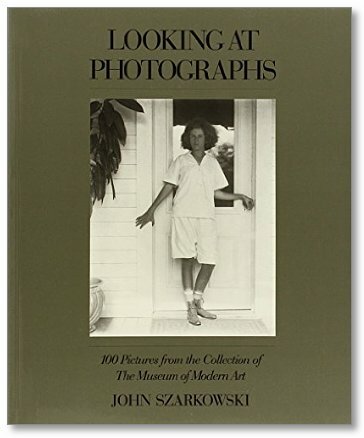 Szarkowski, who oversaw MOMA’s photographic collections and exhibitions from 1962 to 1991, bore witness as well to the first true acceptance of photography as an art unto itself, with a vocabulary, a power, a poetry separate and distinct from painting. Under Szarkowski’s tutelage, the great new personal photographers, from Garry Winogrand to Diane Arbus to Lee Friedlander, moved from the periphery to the center of popular culture. Not content to merely designate work worth seeing, or providing it with a prominent platform, Szarkowski also edited and published two of the most important general-use guides to what all of us should look for in a photograph. His seminal books The Photographer’s Eye and Looking At Photographs, both comprised of works from within MOMA’s collections, examined more than just subject matter or technical data, looking at the motives, biases, objectives and visions involved in the making of pictures. Most importantly, both books placed known and unknown shooters on an equal par, making the study of the art about what is achieved, not just how, or by whom. I cannot imagine having sustained a lifelong interest in making images if I had not first encountered the works of, among others, Pete Turner, Alfred Eisenstaedt, Walker Evans, Robert Frank, Larry Burrows, Richard Avedon, Berenice Abbott, Alfred Stieglitz, Art Kane, Weegee, Sam Abell, or Francis Wolff. Many of these people thrilled and inspired me. Sometimes they infuriated or shocked me. And sometimes they did all of that in the same moment. All have knocked me upside of the head and repeated, over a lifetime: Look here. Look closer. Look again. Don’t ever let anyone tell you that photography is about technique, gear, luck or natural ability. You can work around all that stuff. But if you can’t see, you can’t show. IN PHOTOGRAPHY, WE OFTEN HAVE THE OPPORTUNITY TO ADMIRE THINGS THAT ARE, STRICTLY SPEAKING, beyond our capabilities. The world is rife with people who master exposure, composition, editing and conceptualization in ways which make us gasp in a mixture of awe and envy. Sometimes, we are so amazed by artists outside our own area of expertise that we emulate their passion and, in doing so, completely remake our own art. Other times, we just glimpse their greatness like a kid peeking inside the tent flap at the circus. We know that something marvelous is going on in there. We also sense that we are not a part of it. That’s pretty much been my attitude toward landscape work. Much of it leaves me impressed. Some of it leaves me breathless. All of it leaves me puzzled, since I know that I am missing a part of whatever mystical “something” it is that allows others to capture majesty and wonder in the natural world, their images looking “created” my own looking merely “snapped”. Sometimes the sheer size of nature’s canvas panics my little puppy brain, and I retire to smaller stories. It’s not the same with urban settings, or with anything that bears the mark of human creativity. 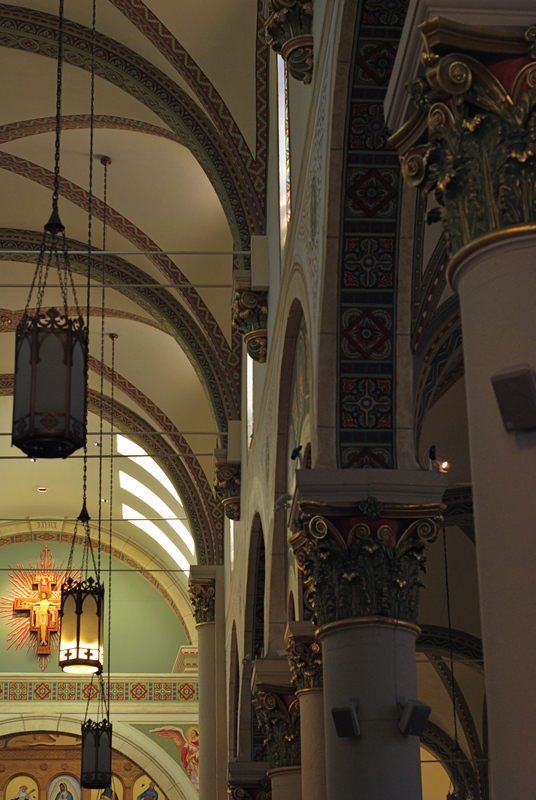 I can instinctually find a story or a sweet point of focus in a building, a public square, a cathedral. 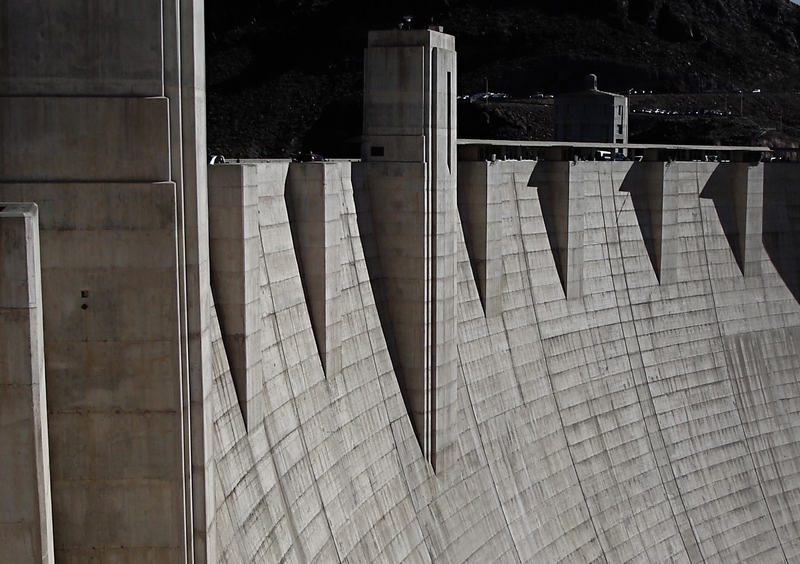 I can sense the throb of humanity in these places and I can suggest it in pictures. 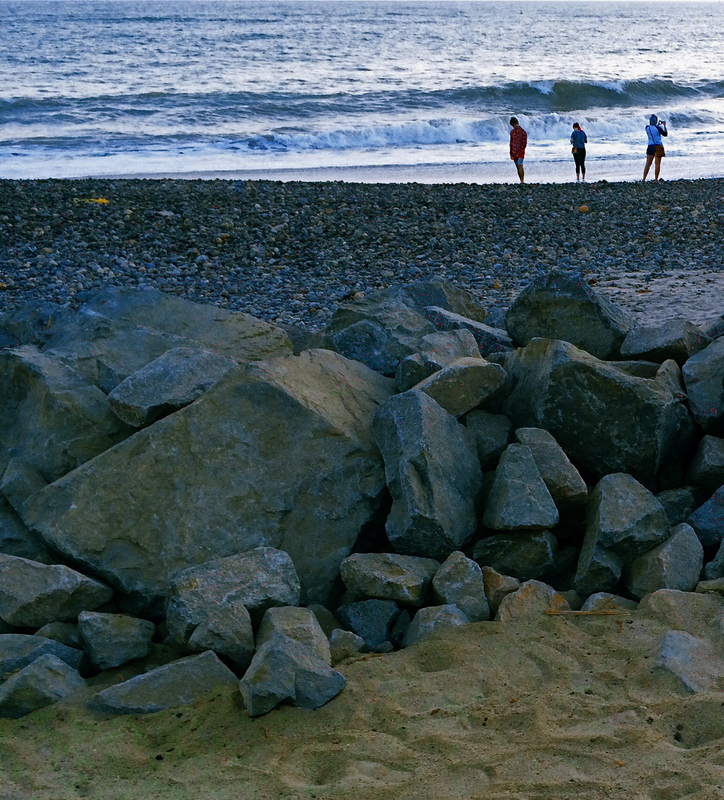 But put me in front of a broad canvas of scenery and I struggle to carve out a coherent composition. What to include? What to cut? What light is best? And what makes this tree more pictorially essential than the other 3,000 I will encounter today? The masters of the landscape world are magicians to me, crafty wizards who can charm the dense forest into some evocative choreography, summoning shadows and light into delicate interplay in a way that is direct, dramatic. I occasionally score out in the woods, but my failure rate is much higher, and the distance between what I see and what I can deliver much greater. Oddly, it was the work of scenic photographers, not street shooters or journalists, that originally conveyed the excitement of being a photographer to me, although I quickly devolved to portraits, abstractions, 3D, hell, anything to get me back to town, away from all that scary flora and fauna. Medium or bite-sized natural subjects do better for me than vast vistas, and macro work, with its study of the very structures and patterns of organic things works even better. But I forever harbor a dream of freezing a forest in time in a way that stuns with its serene stillness and simple dignity. I have to keep putting myself out there, hoping that I can bridge the gap between envy and awareness. Maybe I’ll start at the city park. I hear they have trees there…. Shot one inch away with Lensbaby macro converters, accessories for the company’s 35mm lens, amazingly priced at about $49.95. THE CELL PHONE CAMERA’S IMPACT ON PHOTOGRAPHY HAS BEEN SO SUDDEN AND FAR-REACHING that its full impact has yet to be fully measured. Within a decade, the act of making a picture has been democratized to a greater degree than at any other time in the history of the medium. It’s as if, overnight, everyone was given the ability to leap tall buildings in a single bound. Goodbye, Superman, hello, Everyman. 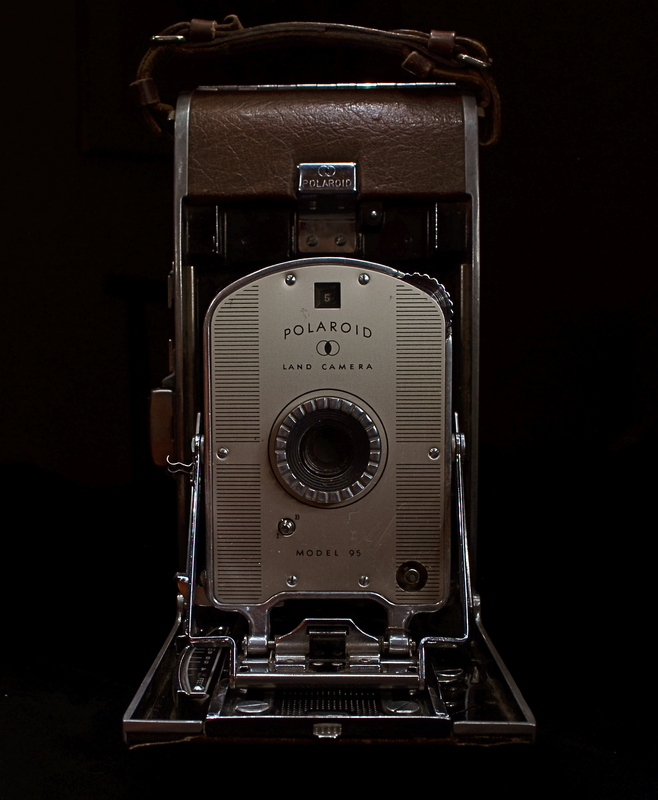 The Kodak Brownie’s introduction prior to 1900 gave the average human his first camera. The cell phone is like the Brownie on steroids and four shots of Red Bull. It’s more than just giving millions of people the ability to take a photo. That part had been done before, dozens of times. However, no other camera before the cell has also obliterated the number one obstacle to picture-making on this scale: cost. The cost of film. The cost of marketing and sharing one’s work quickly, and with uniform quality. The cost of artistry, with support apps allowing people to directly translate their vision into a finished product without investing in gear that, just a few years ago, priced most people out of the creative end of the market. Most significantly, there is the cost saved in time. Time learning a technique. Time speeding past the birth pains of your creative energy. you know, those darn first 10,000 hours of bad pictures that used to take years of endurance and patience. The learning curve for photography, once a gradually arching line, is now a dramatic, vertical jump into the stratosphere. A cell-app simulation of the film-based platinum printing process. These insane leaps in convenience and, for the most part, real technical improvement occur across all digital media, but, in the cel phone, their impact is spread across billions, not mere millions, of users. Simulate a particular film’s appearance? Done. Do high-quality macro or fisheye without a dedicated lens running into the hundreds? Yeah, we can do that. Double-exposures, selective focus, miniature effects, pinhole exposures, even remote auxiliary lighting? Go fish. It’s all there. And when cells raise the ante, traditional cameras have to up their game just to survive. 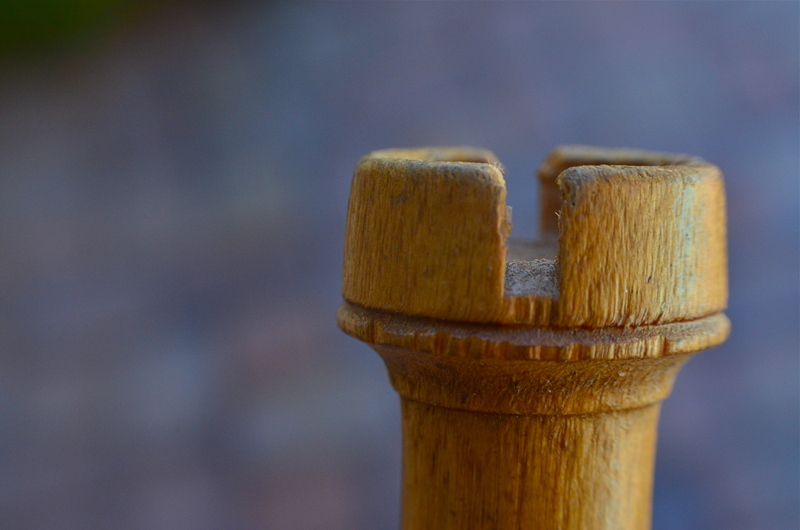 The shot at the top of this page comes from a pair of Lensbaby macro converters up front of the company’s Sweet 35 optic, a shot that would only have come, a few years ago, from a dedicated macro lens costing upwards of $500. Lensbaby’s version? $49.95. And now, with less than a decade in the effects lens biz for DSLRs, Lensbaby makes macro, fisheye and other effect lenses for cells. A rising tide raises all boats. I could make a list of the areas where the optics and outputs of cell phones are still behind conventional camera optics, but if this post is ever read more than a year past its publication, the future will make a liar out of me. Besides, that would put me on the same side as the carpers who still claim that film is better, more human, or “warm”, as the vinyl LP hipsters like to say. Your horse is nice, but it can’t outrun my Model T.
Part of photography’s appeal since day one has been the knowledge that, whatever era you live in, it’s a sure bet that some geek is slaving away in a lab somewhere, trying to make your sleek, easy, “latest thing” seem slow, clunky and over with. We’re never done. Which means that we’re always just beginning. Every camera ever manufactured can make this image, if the right person is behind it. It’s your eye that matters, not your toys. THERE IS A REAL DISCONNECT BETWEEN THE “FIRST CAMERAS” OF A GENERATION AGO and those of people just entering the art of photography today. Of course, individual experiences vary, but, in general, people born between 1950 and 1980 first snapped with devices that were decidedly limited as compared to the nearly limitless abilities of even basic gear today. And that creates a similar gap, across the eras, between what skills are native to one group versus the other. To take one example, if your first camera, decades ago, was a simple box Brownie, the making of your pictures was pretty hamstrung. You had to purposefully labor to compensate for what your gear wouldn’t do. A deliberate plan had to be followed for every shot, since you couldn’t count on the camera to allow for, or correct, your mistakes. With a device that came hardwired with a single aperture, a shutter button, and not much else, you had to be mindful of a whole array of factors that could result in absolute failure. The idea of artistic “freedom” was sought first in knowledge, then, much later, in better equipment. But if, on the other hand, you begin your photographic development with a camera that, in the present era, is almost miraculously flexible and responsive, freedom is a given. In a sense, it’s also a restraint of a different kind. That is, with bad gear, you’re a hero if you can wring any little bit of magic out of the process. But with equipment that can almost obey your every command, the old “I left the lens cap on”-type excuses are gone, along with any other reason you may offer for not getting at least average results. Thus the under-equipped and the over-equipped have two different missions: one must deliver despite his camera, while the other strives to deliver despite himself. The entire gist of The Normal Eye is that I believe that even remarkable cameras (and the world is flooded with them) will betray the unseeing eye that mans them. Likewise, the trained eye will create miracles with anything handy. Our thrust here at TNE is toward teaching yourself the complete basics of photography as if you were actually constrained by limited equipment. At the point at which you’ve fully mastered the art of being better than your camera, then, and only then, is it time to get a new camera. Then learn to out-run that one, and so on. The promise made by cameras today is the same promise that’s always been made by ever-advancing technology, that of wonderful results with minimum effort. It’s the photo equivalent of “eat whatever you want and still lose weight”. But it’s a false promise; photography only becomes art when we ask things of ourselves that our cameras cannot provide by themselves. Anything else is learning to accommodate mediocrity, a world of “pretty good”. Which, inevitably, is never really good enough. Another year older and deeper in depth. MOST YEAR-END ROUND-UP LISTS, from rosters of hot-selling New York Times books to summaries of the most binge-worthy tv titles, tend, in our marketing-based society, to be “best-of’s”, rankings of what’s hot and what (since it didn’t make the list) is not. I’m certainly not immune to these sales-skewed tabulations, but, in strictly artistic terms, there should also be lists that are more like “most representative of” rather than “best”. There’s a very human reason for this distinction. 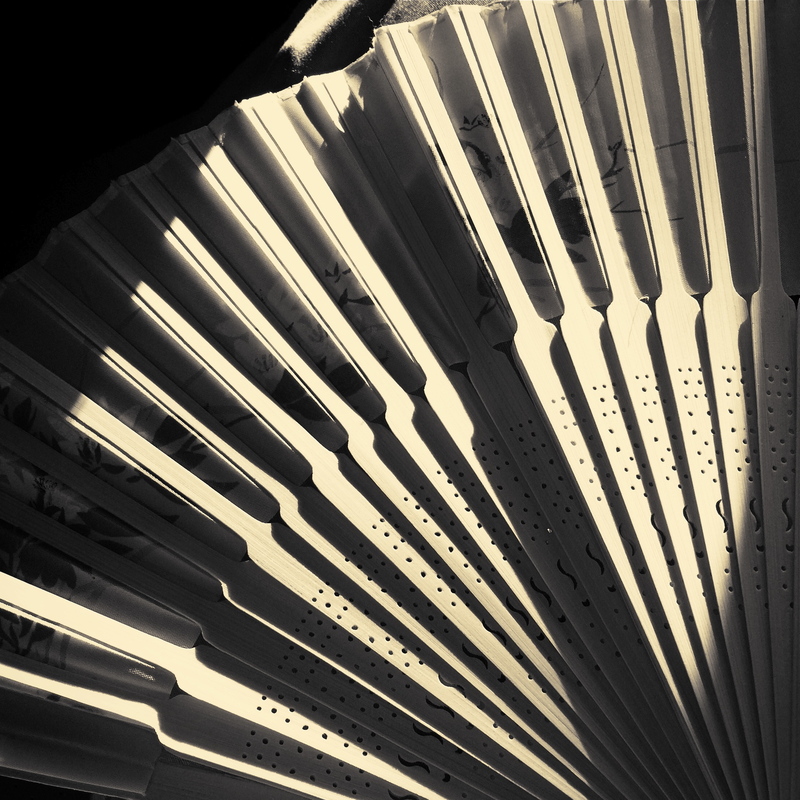 Creative people are often fonder of the their personal also-rans than their personal bests. We cherish the effort, as much as, if not more than, the race results. He who came in first and he who gave it the best go are often two different people (or two different works of art), and our hearts go out (especially in the case of our own work) to the stuff that shows our growth rather than our success. And that’s where I find my head at the end of this photographic year. Up top of the screen, starting today, there’s a tab for a new gallery page called Fifteen for 15. Now, quickly, guess how many pictures there are in it. Then guess what year they came from. Yeah, I’m really that dull. The images therein aren’t necessarily my technical best, perhaps not even the pictures that work the best for you as an audience. But they do comprise a pretty fair sampling of every direction in which I was attempting to stretch during the year, and maybe that’s more important than a mere brag-sheet of home runs. I used to think my goal was to develop a style that didn’t, ha ha, look like a style (oh, these artists!) . Now, I actually want to try to create a chronicle of everywhere that I stepped outside my comfort zone, since that’s where both the spectacular wins and the astounding misses reside. And if I can finish out a given calendar year and point to at least a baker’s dozen of shots that show me at least trying to color outside the lines, I’ll call that year a success. With lists, “Best-Of’s” are great for the ego. However, “Representative-Of’s” may be better for the soul. 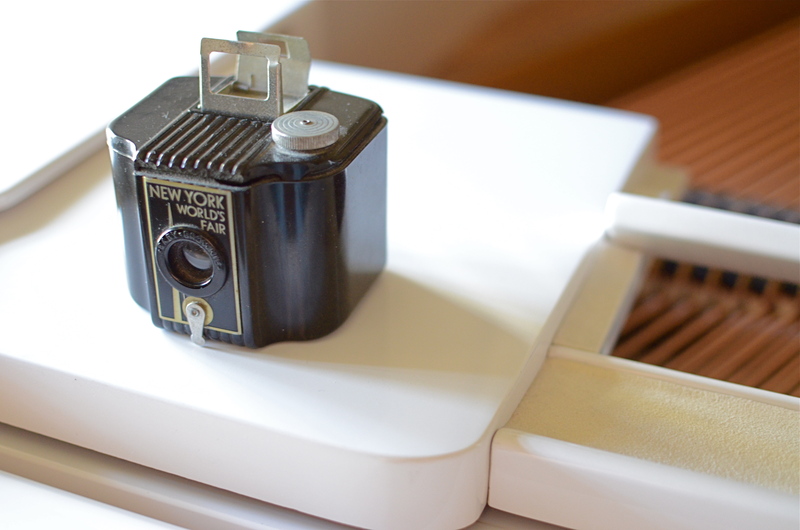 The first-ever cause of Gotta-Getta-Toy disease in my life, the Polaroid Model 95 from 1949. Ain’t it purty? Perk’s Law: the purchase of photographic equipment should be made only as your ability gradually improves to the point where it seems to demand better tools to serve that advanced development. Sadly, what happens with many newbies (and Lord, I get the itch daily, myself) is that the accumulation of enough toys to cover any eventuality is thought to be the pre-cursor of excellence. That’s great if you’re a stockholder in a camera company but it fills many a man’s (and woman’s) closet with fearsome firepower that may or may not ever be (a) used at all or (b) mastered. GAS can actually destroy a person’s interest in photography. Here’s the pathology. Newbie Norm bypasses an automated point-and-shoot for his very first camera, and instead, begins with a 25-megapixel, full-frame monster, five lenses, two flashes, a wireless commander, four umbrellas and enough straps to hold down Gulliver. He dives into guides, tutorials, blogs, DVDs, and seminars as if cramming for the state medical boards. He narrowly avoids being banished from North America by his wife. He starts shooting like mad, ignoring the fact that most of his early work will be horrible, yet valuable feedback on the road to real expertise. He is daunted by his less-than-stellar results. However, instead of going back to the beginning and building up from simple gear and basic projects, he soon gets “over” photography. Goodbye, son of Ansel. Hello Ebay. This is the same guy who goes to Sears for a hammer and comes back with a $2,000 set of Craftsman tools, then, when the need to drive a nail arrives, he borrows a two dollar hammer from his neighbor. GAS distorts people’s vision, making them think that it’s the brushes, not the vision, that made Picasso great. But photography is about curiosity, which can be satisfied and fed with small, logical steps, a slow and steady curve toward better and better ways of seeing. And the best thing is, once you learn that,you can pick up the worst camera in the world and make music with it. There is no shortcut.There are no easy answers. There is only the work. You can’t lose thirty pounds of ugly fat in ten days while eating pizza and sleeping in late. You need to stay after class and go for the extra credit. Technical execution here is almost what’s needed, but the concept still needs work. Write the shot off to practice. THE WORST SOCIAL FAUX PAS OF OUR TIME may be the dreaded “TMI”, or the sin of sharing Too Much Information, creating awkward moments by regaling our friends with intimate details of our recent colostomies or carnal conquests. Funny thing is, much as we hate having this badge of uncoolness pinned to our chest, we commit its photographic equivalent all the time, and without a trace of shame. I’m talking about the other TMI, or Too Many Images. Let’s face it. Social media has encouraged too many of us to use the Web as a surplus warehouse dump for our photographs, many of them as ill-considered as a teenage girl’s hair flip. We’ve entered an endless loop of shoot-upload-repeat which seldom contains a step labeled “edit”. Worse, the vast storage space in our online photo vaults encourage us to share everything we shoot without so much as a backwards glance. The original idea for this shot is fairly strong, but my execution of it left something to be desired. Like execution. A bad idea, well executed. Okay, you nailed the exposure and worked the gear to a “T”, but the picture has no story. There’s nothing being communicated or shared. Just because it’s sharp and well-lit doesn’t mean it deserves to stand alongside your stronger work. A good idea, poorly executed. Hey, if you believe so strongly in the concept, go back and do it right. Don’t give yourself a pass on bad technique because it was a noble effort. An incomplete idea, which means it wasn’t even time to take the picture at all. Maybe you didn’t know how to get your message across, for whatever reason. Or maybe if you got the conception 100% right, it still wasn’t strong enough to jump off the page. The litmus test is, if you wouldn’t want someone’s random search of your stuff to land on this shot instead of your best one, lose it. Online stats make some of these tortured choices a bit easier, since, when you are looking at low figures on shots that have been available forever, it’s pretty clear that they aren’t lighting up anyone’s world. And as lame as view and fave counts can be, they are at least an initial signal pointer toward sick cows that need to be thinned from the herd. The cure for photographic “TMI” is actually as easy as shooting for long enough to get better. With a wider body of work viewed over time, the strong stuff stands out in bolder contrast to the weaker stuff. And that shows you where to wield the scissors. Everything you shoot is reflective of your own view. That’s the good part, and the risky part as well. DIGITAL PHOTOGRAPHY, AND THE SPEED, ECONOMY AND EASE IT HAS BROUGHT TO NEARLY EVERYONE, has allowed an incredible acceleration of the learning curve for shooters, a temporal shortcut that has effectively enabled people to master in years what used to take a lifetime (not to say a personal fortune). Without the lag time and cost baked into the film medium, photographers can shoot a lot. Like, a lot. Problem is, this skyrocketing learning curve for shooting skill has not been accompanied by an accompanying curve in editing skill. As a matter of fact, the two skills are going in opposite directions. And that is a bad, bad thing. In the film era, there was limited admission to the “photographer’s club” at the pro level, and all pros had some way of winnowing out their weaker work. They had editors, publishers, or some kind of independent eye to separate the wheat from the chaff. Only the best work was printed or displayed. Not everyone made the cut. Some of us had to admit that we didn’t have “it”. There was more to photography than the mere flick of our shutter fingers. Now enter the digital age, and, with it, the ersatz democracy of the internet age. Suddenly, all of everyone’s photos are equal, or so we have come to think. All images go to the infinite shoebox of the web: the good stuff, the not-so-good stuff, the what-the-hell stuff, all of it. Accounts on Flickr and Instagram allow posters a massive amount of upload space, and there are few, if any strictures on content or quality. But here’s the ugly truth: if all of our photos are special, then none of them are. You can take most of the formalized schools on photography and sink them in the nearest bog with no damage to any of us, with one singular exception: those tutorials which teach us how to objectively evaluate our own work. Knowing how to wield the scissors on one’s own “babies” is the most important skill in all of photography, because, without that judgement, no amount of technical acumen matters. If you don’t learn what is good and how close or far you, yourself have come to that mark, then how can anything become exceptional, or excellent? If your work has never had to face real critical heat, there is no incentive for you to change or evolve. This is increasingly important for the millions of self-publishing shooters and scribblers like me who presume to pronounce on what photography is. Just cause we’re in print don’t mean we’re right, or even honest. Art cannot grow in a vacuum, and so, I say again, if we can’t self-edit, we can’t claim to be photographers, not in any real way. The curve of honest self-evaluation must soar alongside the curve of technical acuity, or the whole thing’s a joke. 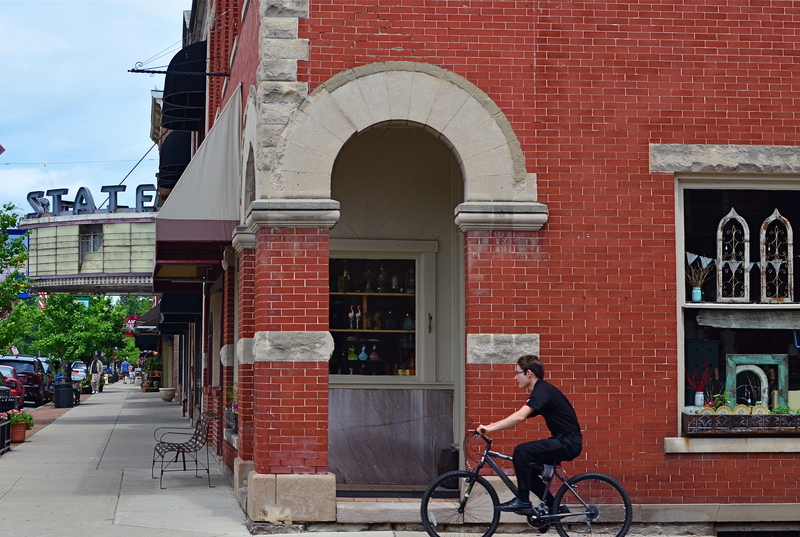 Westerville, Ohio, 2015. 1/250 sec., f/5.6, ISO 100, 35mm. THERE USED TO BE A CARTOON THAT SHOWED A MAN WITH A LITERAL HOLE IN HIS HEAD, described by the caption as being “open-minded”, as if that were a negative, rather than a positive, quality. Regardless of what this says of the popular notion regarding the intellectually flexible among us, it actually reminds me that the best approach to some of the best photography in the world can be, as near as possible, no approach at all. Okay, everyone sit back down. The old village crank isn’t proposing that one should not be mindful, or operate from a plan, when tackling a photo shoot. Merely pointing out that, if you’re honest, you can certainly point to pictures that you’ve over-thought to the point of sterility, draining the results of anything reflexive, impulsive, or instinctual. Moreover, it’s all too easy to map out a procedure for what you hope to do, then fall into desperate love with said procedure for its own sake. My, what a lovely, lovely little blueprint. Let’s not deviate from it an inch. This little comic book of mine doesn’t have but a few meager themes, but one of them is that the best pictures land on your nose like an errant butterfly while you’re busy planning something very different. You may not select from your favorite phrase for this process, including Dumb Luck, Serendipity, Being At One With Your Chakras, or Accidentally Stepping In Roses. 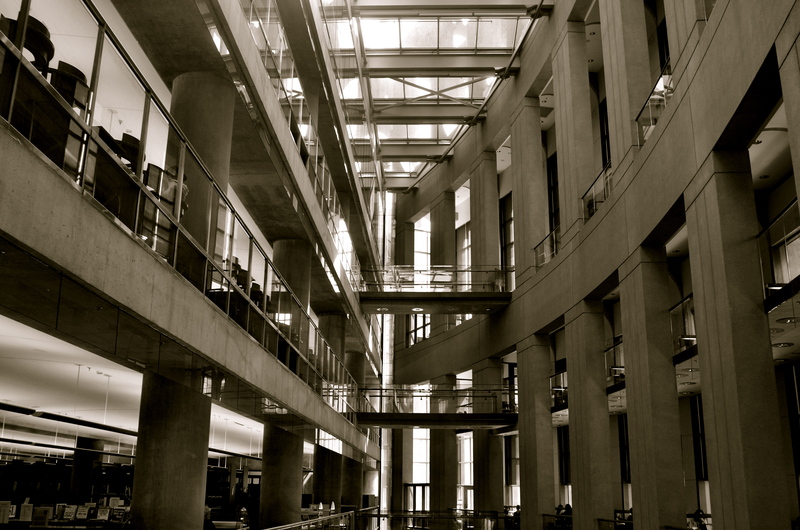 Point is, there are pictures to be extracted everywhere, not just where you feel like looking. Being open-minded doesn’t mean you have a hole in the head. One really cheap and easy way to remind yourself of this idea is to compile, right here and now, a file of your images that were great in spite of the fact that they were not what you were initially after. Things that distracted you, with delightful results. Things that began by feeling wrong, then turned wonderfully right. Keep that file, label it Who The Hell Shot This?, and add to it over a lifetime to remind you that a stranger sometimes comes into your process and leaves you golden eggs. Artists love to see themselves as flautists making beautiful music, when, actually, we are, in our luckiest moments, the flute itself, the wind rushing through us to facilitate melody. Now, translate that concept to photography, and ask: what does it matter whether you take the picture or the picture takes you? We all start with light and a box. From then on, anything can happen. THE BEST SELLER LIST IS THE FASTEST WAY to cement a notion in the public’s mind as indisputable “fact”. We are great at quoting a concept captured in print, then re-quoting the quote, until the “truthfulness” of it becomes plausible. It’s basically a version of the statement, “everybody knows that..” followed by a maxim from whatever hardcover pundit is top in the rotation at a given moment. And it’s about as far from accuracy as you can get. Ever since pop-psych guru Malcolm Gladwell’s hit book Outliers arrived on shelves a few years back, its main thesis, which is that you need 10,000 hours of practice to become excellent at something, has been trotted out a thousand times to remind everyone to just keep nose to grindstone and, well, practice will make perfect. Gladwell cites Bill Gates’ concentrated stretch of garage tinkering and the Beatles’ months of all-night stands in Hamburg as proof of this fact, and, heck, since it ought to be true, we assume it is. However, it’s not so true as it is comfortable, and, when it comes to photography, I would never hint that someone could become an excellent artist just by putting in more time shooting than everyone else. If my method is wrong, if I never develop a vision of any kind, or if I merely replicate the same mistakes for the requisite practice period, then I am going to get to my goal older, but not wiser. Time spent, all by itself, is no indication of anything, except time spent. Evolving, constantly learning from negative feedback, and learning how to be your own worst critic are all better uses of the years than just filling out some kind of achievement-based time card. The perfection of photography is about time, certainly, and you must invest a good deal of it to allow for the mistakes and failures that are inevitable with the acquiring of any skill. But, you must also stir insight, humility, curiosity and daring into the recipe or the end result is just mediocrity. Gladwell’s magical 10,000 hours, a quantity measurement, is only miraculous when coupled with an accompanying quality of work. There are people who know how to express their soul on their first click of the shutter, just as there are those who slog away for decades and get no closer to imparting anything. It’s how well you learn, not how long you stay in school. It ain’t comforting, but it’s true. BOTTOM RUNG: SHOOT MORE THAN YOU THINK YOU NEED TO. Certainly shoot more often than when you “have something to shoot”. Shoot when you’re dry. Shoot when you’re bored. Shoot when you’re wired/angry/amazed/frightened/joyful. Be okay looking like a fool for an idea. Most of all, be willing to take more lousy shots than the next ten guys put together. Think of all those bum images as the thick leaves of Christmas paper swaddling your best pictures. You gotta tear away all the layers to get to your shiny toys. If these three rungs seem grossly over-simplified to you, try them for about forty years and get back to me. Photography cannot evolve unless we refine the person who clicks the shutter. 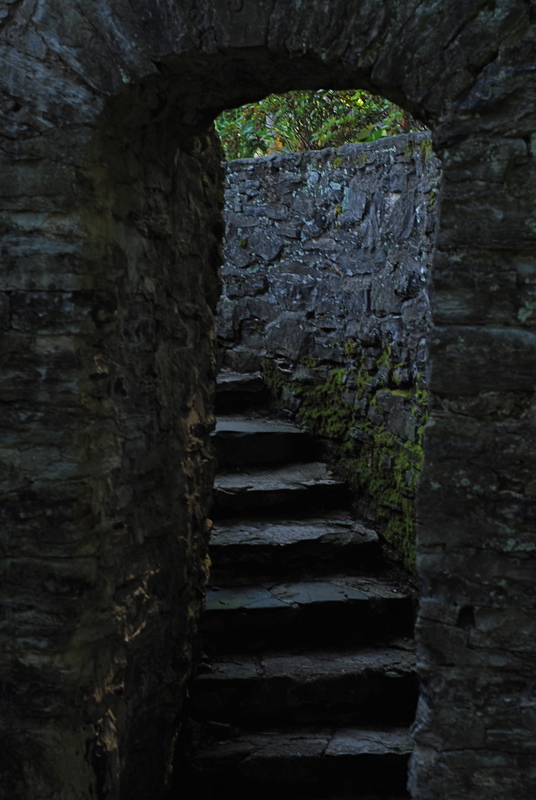 None of these steps are guaranteed to produce immortal images. But you sure as hell can’t create greatness without them. 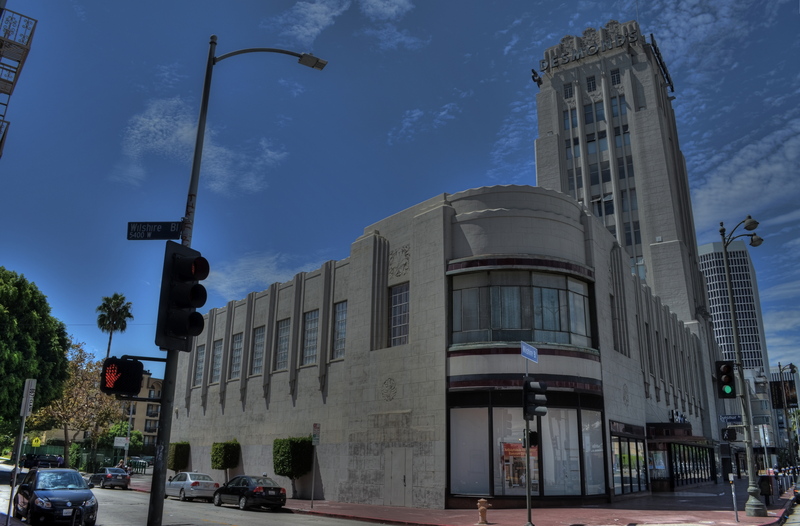 The building that originally housed Desmond’s department store, and one of the mostly intact survivors of a golden age of Art Deco along Los Angeles’ historic “Miracle Mile”. CALIFORNIA’S CITIES, FOR STUDENTS OF DESIGN, contain the country’s largest trove of Art Deco, the strange mixture of product packaging, graphics, and architectural ornamentation that left its mark on most urban centers in America between 1927 and the beginning of World War II. The Golden State seems to have a higher concentration of the swirls, chevrons, zigzags and streamlined curves than many of the country’s “fly over” areas, and the urban core of Los Angeles is something like a garden of delights for Deco-dent fans, with stylistic flourishes preserved in both complete buildings and fragmented trim accents on business centers that have been re-purposed, blighted, re-discovered, resurrected or just plain neglected as the 20th century became the 21st. And within that city’s core (stay with me) the up-again-down-again district once dubbed the “Miracle Mile”, centered along Wilshire Boulevard, remains a bounteous feast of Deco splendor (or squalor, depending on your viewpoint). 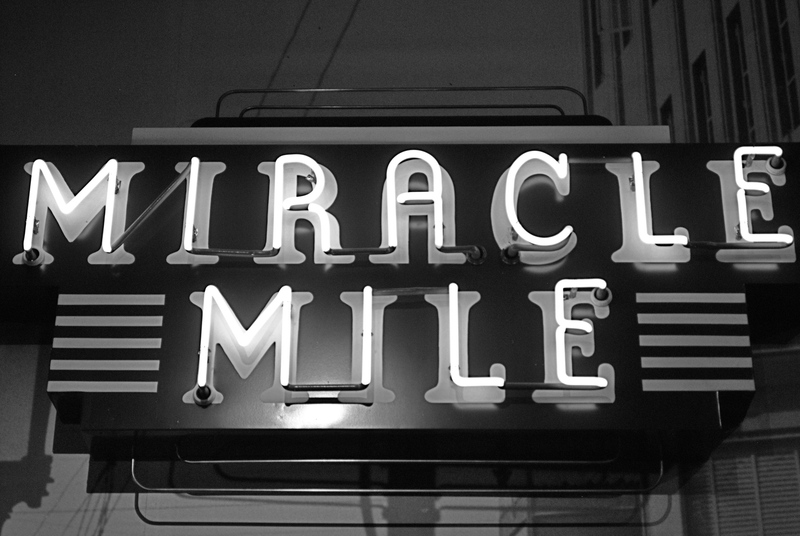 The Miracle Mile was born out of the visionary schemes of developer A. W. Ross, who, in the 1920’s, dreamed of drawing retail dollars to an area covered in farm fields and connected only tentatively to downtown L.A. by the old “red car” trolley line and the first privately owned automobiles. Ignoring dire warnings that the creation of a massive new business district in what was considered the boondocks was financial suicide, Ross pressed ahead, and, in fact, became one of the first major developers in the area to design his project for the needs of passing car traffic. Building features, display windows, lines of sight and signage were all crafted to appeal to an auto going down the streets at about thirty miles per hour. 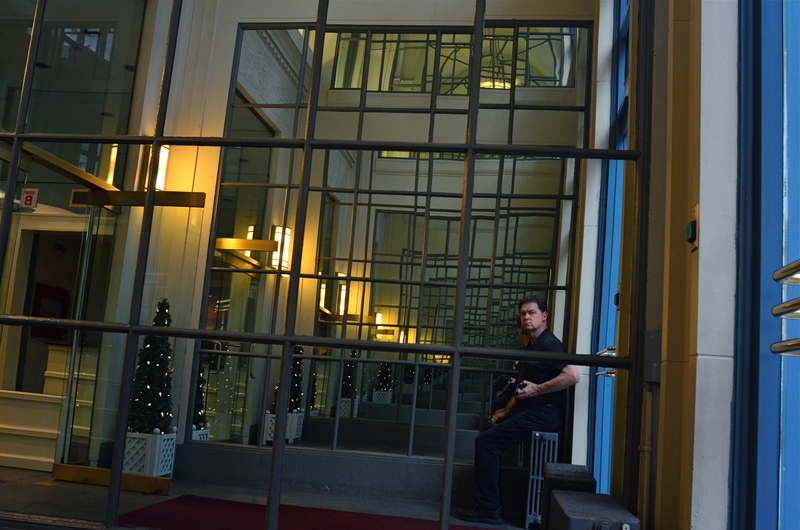 As a matter of pure coincidence, the Mile’s businesses, banks, restaurants and attractions were also all being built just as the Art Deco movement was in its ascendancy, resulting in a dense concentration of that style in the space of just a few square miles. 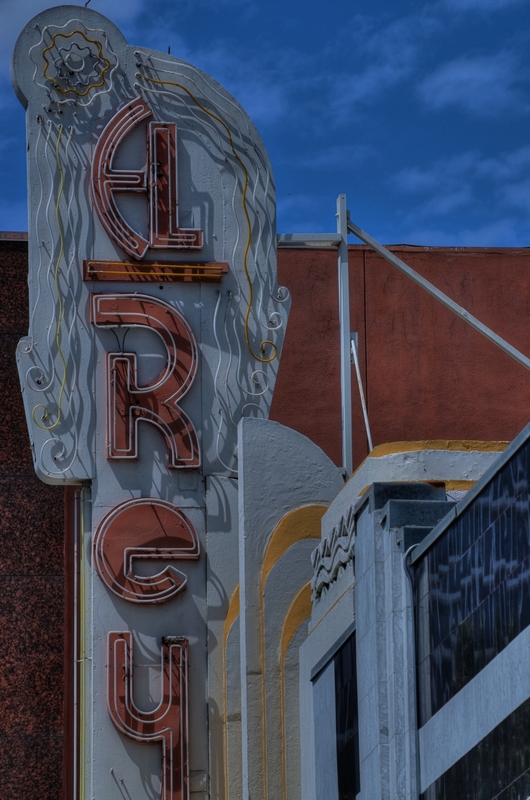 The period-perfect marquee for the legendary El Rey Theatre, formerly a movie house and now a live-performance venue. It was my interest in vintage theatres from the period that made the historic El Rey movie house, near the corner of Wilshire and Dunsmuir Avenue, my first major discovery in the area. With its curlicue neon marquee, colorful vestibule flooring and chromed ticket booth, the El Rey is a fairly intact survivor of the era, having made the transition from movie house to live-performance venue. And, as with most buildings in the neighborhood, photographs of it can be made which smooth over the wrinkles and crinkles of age to present an idealized view of the Mile as it was. On the same block, directly across the street, is another nearly complete reminder of the Mile’s majesty, where, at 5514 Wilshire, the stylish Desmond’s department store rose in 1929 as a central tower flanked by two rounded wings, each featuring enormous showcase windows. With its molded concrete columns (which resemble abstract drawn draperies), its elaborate street-entrance friezes and grilles, and the waves and zigzags that cap its upper features, the Desmond had endured the Mile’s post 1950’s decline and worse, surviving to the present day as host to a Fed Ex store and a few scattered leases. At this writing, a new owner has announced plans to re-create the complex’s glory as a luxury apartment building. The details found in various other images in this post are also from the same one-block radius of the Wilshire portion of the Mile. Some of them frame retail stores that bear little connection to their original purpose. All serve as survivor scars of an urban district that is on the bounce in recent years, as the Los Angeles County Museum of Art (installed in a former bank building), the La Brea Tar Pits, and other attractions along the Mile, now dubbed “Museum Row”, have brought in a new age of enhanced land value, higher rents and business restarts to the area. Everything old is new again. 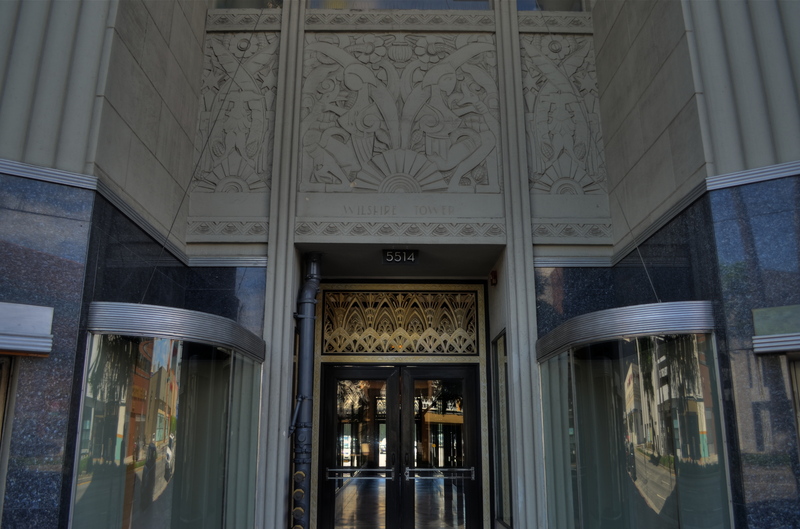 The Wilshire Boulevard entrance to Desmond’s, with its period friezes, ornate grillwork and curved showcases intact. Ironically, the district that A.W. Ross designed for viewing from behind the wheel of a car now rewards the eye of the urban walker, as the neighborhoods of the Miracle Mile come alive with commerce and are brought back to life as a true pedestrian landscape. Walk a block or two of the Mile if you get a chance. The ghosts are leaving, and in their place you can hear a beating heart. 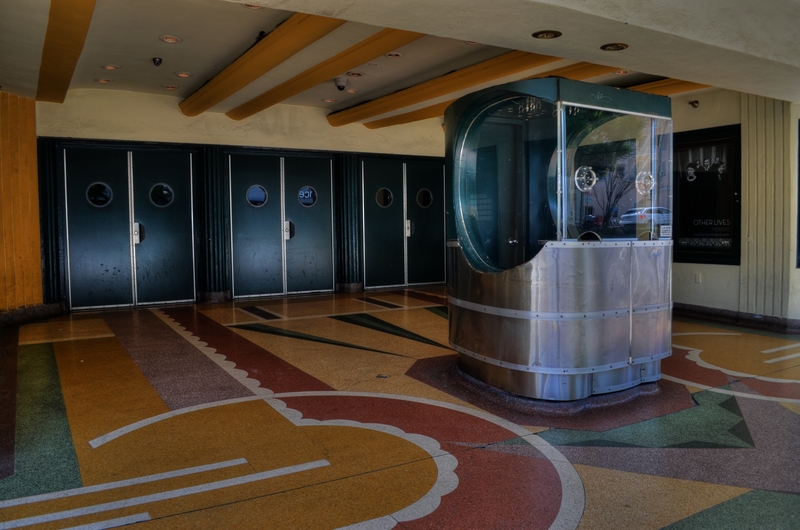 The wonderfully patterned lobby floor and streamlined ticket booth of the El Rey. Suggested reading: DECO LAndmarks: Art Deco Gems of Los Angeles, by Arnold Schwartzman, Chronicle Books, 2005.